There's not much wrong with the GoPro experience - neat device, spectacular footage, cool community. 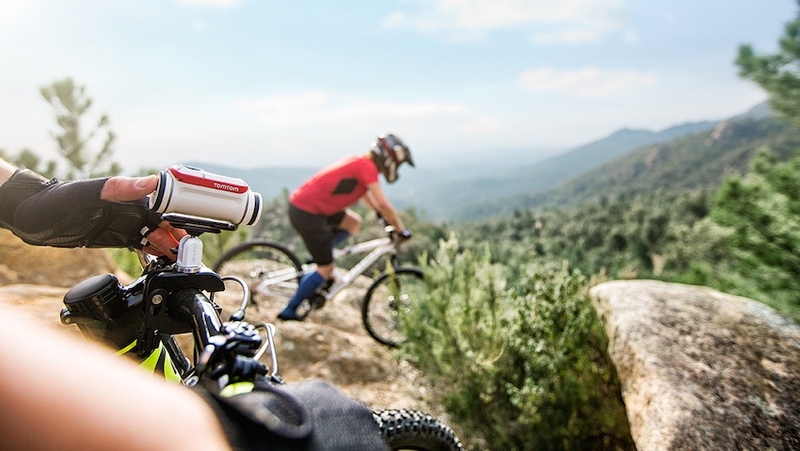 But nothing is perfect and TomTom is the latest company to nip at GoPro's heels with its own action camera, the Bandit, that aims to improve on the Hero range's few faults. The Bandit camera's 16MP sensor shoots 4K as well as 1080p footage at up to 60fps and 720p at up to 120fps. It rocks slow mo (1080p/720p), timelapse (4K/1080p) and burst modes as well as Bluetooth Smart and Wi-Fi connectivity. So good, so GoPro. Where it really gets interesting is in tackling the old problem of faffing around with huge files once you've shot your shenanigans. The rubbish way involves transferring tons and tons of footage to your computer then digging through to find those awesome moments and editing it into something you can share on YouTube or with your mates. The new TomTom Bandit way involves a built-in media server and processing and auto-editing on the camera itself. Basically that means the footage stays on the camera and you can review your mini movie on a smartphone companion app before shaking it to get an edited highlights reel. How does TomTom know what you want to see? It uses built-in motion and GPS sensors to record your metrics to overlay on top of the footage - like the new Garmin VIRB XE - but also cleverly uses this data to pick out the most exciting bits of video based on speed, altitude, acceleration and - with a compatible wearable - heart rate. Whether it works remains to be seen but we can't wait to see what TomTom's software can do to speed up the downloading and editing process. As for the other specs and features, it's waterproof down to 50m with a lens cap accessory (but no need for a case) and has an unspecified 'long-lasting' battery life. TomTom says it has multiple accessories and mounts for attaching to helmets, bikes etc - we're sure to see more of these - and the companion app is iPhone only at launch but an Android app is in the works. The Bandit will go on sale for £299 in the UK at Amazon, John Lewis and Curry's. We'll update this story with international prices, release dates and stockists when we have them.